For a weight loss supplement, this is a nice set of benefits to using the product. The recommended dosage for Just Potent Forskolin is to take one capsule 30 minutes before breakfast and one capsule 30 minutes before dinner. There are no long-term results listed on either website. Just Potent Forskolin is very inexpensive compared to other similar weight loss supplements that offer the same standardized 20% forskolin. There is no guarantee listed on the Just Potent product page. There is information listed in the FAQ section on returns. Just Potent does not accept returns on open bottles and there is a possible $5-$10 restock fee or 10% (includes shipping in calculation of the 10%). What is this? The restocking fee should not be buried deep inside the site. It should be plain and visible to the customer prior to purchase so that they are informed about this before purchase. That is just good business. The return and guarantee policy for Just Potent Forskolin is vague and misleading to say the least. Only unopened bottles may be returned and then there is a possible restocking fee. This makes one wonder if there is any confidence in the product at all. Why would Just Potent sell a weight loss supplement that cannot be returned if opened? There is no way to tell if it will work prior to taking it. If it doesn’t, then why even waste money on such a purchase? 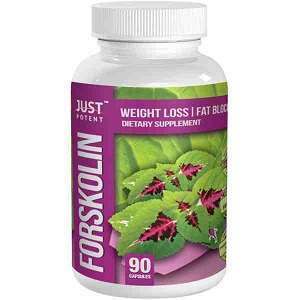 Danny Wild	reviewed Just Potent Forskolin	on December 18th	 and gave it a rating of 3.5.